You may consider an LED Holder, or simply glue/epoxy/silicone it in place. If by pull out, you mean de-solder the LED and re-solder a new LED to the wire and resistor, then yes, its certainly do-able. You may find it easier to just replace the whole thing though. Even if the LED is on 24/7/365, it should last at least 5 years (maybe even 10). 40 = 08 amps, less than 1 watt. Yes as long as it is made for 12V DC. Sure, how many do you need? No and no. Wire all leds together in parallel. How many volts does one of these pre wired LEDs draw? You can mount them without the holders. Depends on the color, but yes, they'd most likely still barely light up on 5v. If you want to power them with 3v, you'd be better off just using the "loose" non-prewired LEDs. Yes, they would also work on the battery pack. The white is a neutral white, no blue or yellow. Happy to make custom for you if you can buy 100 pieces. How many pieces do you need? Or have you considered wiring 2 of the 12V ones in series? That'd work too. Do you have million color pre-wired individual LED's? I would l like to distribute them in my car interior and hook them all to the same control so they will all sync. Yes, these Prewired Surface Mount LEDs are available in RGB (Million). Yes, 3mm is the smallest we make, and we have no plans to make a smaller one. I'm working on a hanging lamp project that will require me to wire approximately 54 LEDs in a parallel circuit. I intend on wiring this to a ceiling outlet. What other hardware will I need i.e. transformer etc.. to safely connect these lights to my intended power source? You can get any size you want. It is a universal product. You'll need a switch and a fuse, but that depends on how you are hooking it up. I think that's all you need. Just bundle of positive wires and negative wires together. I am using 70 of the 3mm pre-wired in clusters of 10 tied in to 7 terminal blocks. If I understand your tech specs this will require a 12v power supply and approximately 1.5 amps. Am I correct? Yep! 1.4 Amps for 70 3mm LEDs. What is the voltage draw for the 3mm pre-wired - I have to connect these with other LED's off of a 300 watt supply? Always use a fuse! Always. Sorry, not sure which picture you are referring to. We only have the 3mm and 5mm, nothing smaller. If I am hooking up 20 pre-wired LED's in parallel, do I need a resistor? Or is the individual resistor they came with sufficient? The pre-wired LEDs already have a resistor soldered on. You do not need to use an other resistors. What is the brightness of these in MCD? What about the superflux MCD? 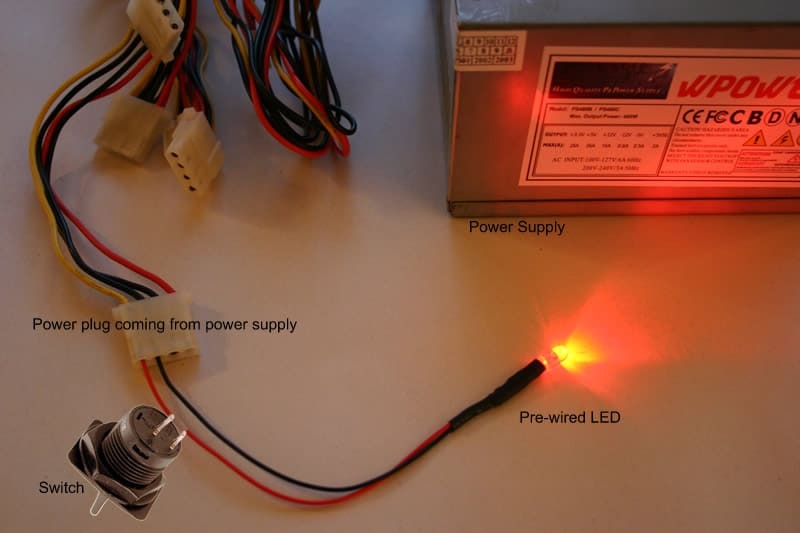 Here is the technical data for the Prewired LEDs [https://www.oznium.com/loose-component-leds/led#tech]. Sorry, we don't have that information on the Superflux yet. Yep! These can be used as turn signals. These will not die out faster or anything if used as turn signals. The whites are always the brightest. I'm trying to tackle a tail light project. I was thinking about wiring 12 5mm LEDs in series in each tail lamp. A total of 24 LEDs, 12 on each side. Also plan to tap into the license plate circuit to have all 24 LEDs powered. Would this be a problem? Would it draw too much power? Generate heat? Blow a fuse? Any need to wire a fuse to it? Here is a link from our Forum https://www.oznium.com/forum/topic23196. Maybe this will help. I want to change my existing bulbs in my GM Bose radio/CD. Will the pre-wired work (5mm) as opposed to the regular 5mm? I'm looking at the length of the pre-wired vs. the regular. Also, will I need to "shave" the head in order to get a wider spread? They should work, not sure about shaving the head. You may need to get them installed and see. 2-1/4inches, the wire you can certainly bend, the shrink wrap portion can only bend slightly. It would be rather hard to replace the dome light with 5mm or 3mm LEDs. Plus, it wouldn't be as bright. And you'd also have to build your own board or cut out holes to position them. Are these and the RGB color changing pre-wired LEDs waterproof? The built in leds on a computer case run off of the motherboard at reduced voltage and do not have a voltage dropping resistor attached to them. This means you put a full 12 volts to the led and it burnt out. Yes, we offer two dimmers. Yes, so if you wire 4 of them in parallel, they'd draw about 80mA total. Yes you can easily hook them up in parallel to the AC Adapter. The amperage of the LEDs is very small. I don't see any risk of fire. The LEDs are low voltage, and the AC Adapter is UL listed. I'd look at our Flex Strips (https://www.oznium.com/flexible-led-strips/led-flex-strips) or our Ribbon Strips (https://www.oznium.com/flexible-led-strips/thin-waterproof-ribbon) for you application. This is likely a silly question, but I was wondering what you hook these up to? I am wanting to make some portable light sources and think this could work. But I do not know what to hook them up to? Would a standard AA/AAA Battery work? These are intended to be hooked up to a 12 volt power source. You could hook them up to a 12 volt battery pack. A standard AA/AAA battery is only 1.5 volts. Why not consider one of our dimmers? How about using a 3 amp fuse. Can i wire 4 of these LEDs together in parallel and hook them up to just one power plug from the computer power supply. Do i need a fuse for this. I've hooked these up before like this but they keep burning out. Maby i've got them plugged in wrong, red and black instead of yellow and black. Any suggestiong. No fuse needed. Try not hooking them up in a series; wire in a parallel. They will work without a fuse. For headlights, which size/type? would you recommend? 5mm, 3mm, or maybe the super-flux? How about for in the cabin (feet area)? I'm thinking of getting 5mm for everything; would they be bright enough for headlights? Pre-wired Superflux LEDs are best for headlights. For under the dash, I'd recommend our new Ultra Thin LED Bar. You would need a dual Filament, No we do not have a direct replacement for this type of thing. Are the UV led's just purple, or do they produce a blacklight effect? UV LEDs produce somewhat of a black-light effect, and are somewhat purple. Unfortunately, these are the only types of wires we have at this time. We will look into more flexible wires in the future. how far behind the base of the led can i make a 90deg bend. i do not want to damsge the led or resistor. About half an inch just before the resistor Maybe slightly less. Just make sure you're careful, and test the LEDs prior to fully installing them just in case. There are many resources available in our online forums. White is around 5500k, warm white has a yellow hue to it, more around 3700k. White would match your HIDs best. Wiring in "series" is not the way to go. Stay "parallel" when wiring LED"s or otherwise you may lose brightness at the end of the line. Wiring in "parallel" is running all positives and negatives together from your power source. The 10mm has a viewing angle of about 10 degrees, while the 3mm and 5mm have a viewing angle of 30 to 40 degrees. Basic estimated lifespan of an LED is around 30,000 hours. There is really no limit to the number of LEDs you can wire to your 12 volt power source. It depends on the current/amperage. Yes, you could definitely do this. For 20 or 30 LED's a 5 amp fuse will be enough. The size of wire doesn't really matter. Anything from 18 to 24 gauge should will work fine. You'll likely need a fuse and fuse holder. Maybe an on/off switch too. The yellow 12v. Pre-wired LEDs are set up for 12v use. The quantity discount is applied for quantity of the same color. The discount is not applied if you get 5 blue and 5 red. The reason for this is we pre-pack them in sets of 10. If you are referring to our cathode music interface, there are two sets of red/black wires with a small white plug on the end. Cut off the white plugs and hook up the positive and negative wires accordingly. Our pre-wired LEDs won't work behind the gauge of a Scion tC due to the way it is constructed. However we do have an LED that is a direct replacement, as well as a list of some very qualified people who would be happy to change your gauges to pink! Check the product and the people here. Will one 3mm LED light up a cup holder nicely? Should i go with a 5mm or get two 3mm? They both put out a lot of light. I'd just go with one 3mm as it is easier keep a clean looking install. If you want it really bright, you can consider the pre-wired superflux 4-chip LEDs. Yes, we can make that custom for you. Please give us more specifications, and the quantity. is it possilble to hook 30 of these to a 12 V source? 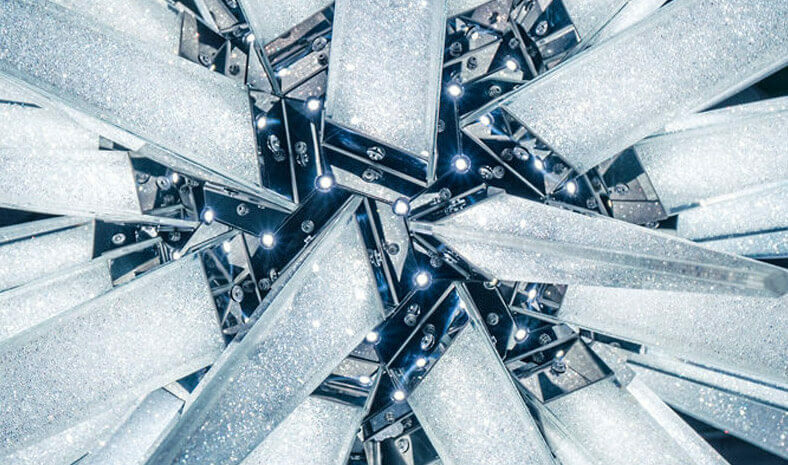 An unlimited number of LEDs can be hooked up to a 12 V source. 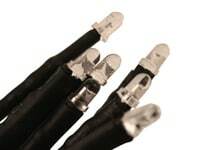 While any wire will work, a smaller, stranded wire is ideal. Something in the 20-24 gauge range. What is the difference between white and warm white? Standard white is a very vibrant, "hyper" white color. It is very bright, and has a hint of purple/blue to it. Warm white is a bit more yellow, similar to a standard halogen bulb. Standard white is popular in automotive use, and warm white is popular for homes! Yes. It will fit. You'll need to use glue to hold the LED in place, though. They are water resistant. They can be used on boats. These pre-wired superflux 4-chip LEDs are more waterproof. Sure we can do that. Please contact us and tell us how many and of which color you need.